I know, two blog posts in one day. Exhausting isn't it? But because I am putting up my Flubit video today, and August is drawing to a close it would be silly of me to pop this up tomorrow. After all, I want you guys to take part! Click to go to YouTube and watch the video! Now, the idea behind Flubit is very simple. Pop on over to Amazon, and find the book you would like to buy. Then, simply copy the link from the address bar, and paste that in the demand box over at www.flubit.com and Flubit will generate you a better offer on that book, which you will receive direct to your email inbox. It's so simple! On average I have found my offers to be anything from 50p-£1 cheaper through flubit, which may not sound like a lot, but remember it all adds up! But that's not all. 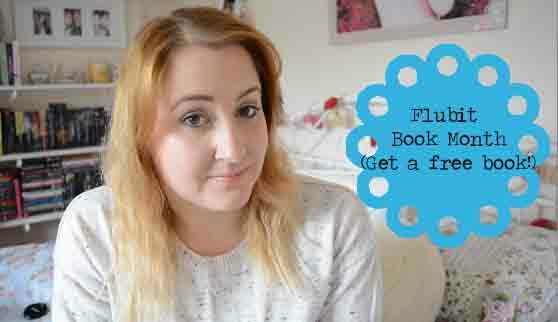 Because thoughout August Flubit have been holding their very own book month, where you can earn yourself a free book of your choice (Value up to £10, one review/book per person) by writing a 200-300 word review of a book and sending it via email to books@flubit.com! It's that simple. I have taken part, reviewing one of my favourite dystopian reads, The Murder Complex by Lindsay Cummings - and I have chosen Landline by Rainbow Rowell as my free book reward. To find out more, head to https://blog.flubit.com/flubit-book-month/ and let me know if you will be sending in a review! Five Books to Read Before They Hit The Big Screen! I love book to movie adaptations, it's one of my favourite discussion topics. Because August is Flubit's Book Month, here's a run down of five books to read before they hit the big screen! Simply use the widgets to demand yourself a better offer on the books you would like to read. Which one grabs you the most? Set in a futuristic world where hunger, pain, and war are a thing of the past. Nobody in the community wants for anything, and at twelve years old each member of the community has their profession chosen for them. This book isn't jumping on the dystopian bandwagon, far from it actually because The Giver by Lois Lowry was actually released in 1993. Makes you feel old doesn't it? Written by Gillian Flynn, Gone Girl has received a high amount of praise since being released in 2012. This isn't a conventional thriller, and is full of twists and turns. The police suspect Nick in the disappearance of his wife, Amy. Her friends reveal that she was afraid of him, but he swears it isn't true. What happened to Nick's beautiful wife? Memories define us. But what if you lost yours every time you closed your eyes, every time you fell asleep? Everything you knew, wiped clean overnight. And what if the one person you trust, was only telling you half the story? The only thing Thomas can remember is his first name, and he isn't alone. Surrounded by boys who welcome him to the Glade, a walled encampment at the centre of a stone maze, Thomas has no idea how he got there. None of them do. All they know is that every morning when the walls slide back, they will risk everything to find out the truth. The year is 1929, and newlyweds George and Serena arrive from Boston in the North Carolina mountains to create a timber empire. Serena is new to the mountains, but she soon shows herself to be the equal of any worker, and she even saves her husbands life. But as their marriage begins to unravel, the story of love, passion revenge moves towards a shocking reckoning. Out of all the above book to movie adaptations, Serena is perhaps the one I would be least likely to pick up, but with Jennifer Lawrence and Bradley Cooper playing the Pembertons on screen, I could be tempted into reading Serena. Will you be seeing any of these movies? And will you be reading the books first? It is the golden rule after all. Demand a better offer from Flubit, and get these books at a better price! Part of the fun of being part of the Booktube community, is getting involved with tag videos. They're fun, and are really great tools to help you network with other booktubers, in addition to promoting the books you love. And the best part is, they don't have to be anything fancy! One of the best ways to get viewers to notice your account is by creating your own book tag video, which is exactly what I have done today. The video is simple fun, putting book titles to famous Taylor Swift songs through a handful of questions. Fancy taking part? Go ahead! Please link the original video in your description. 1. 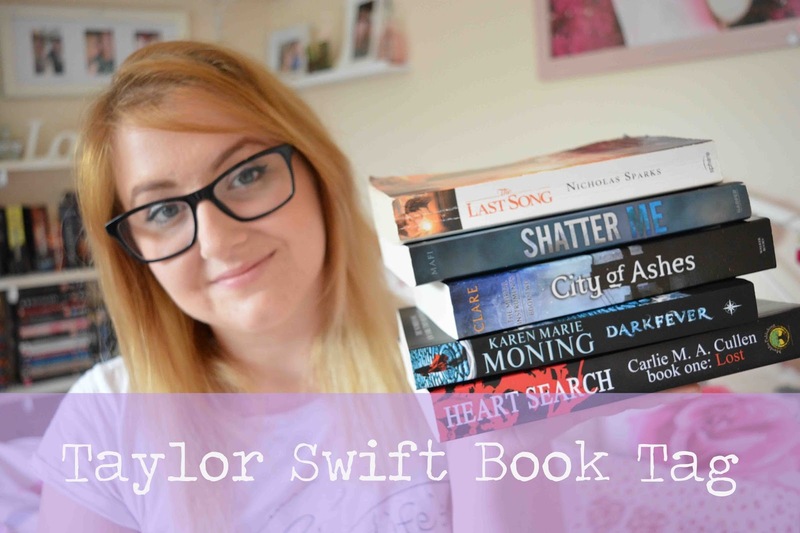 For ‘We Are Never Ever Getting Back Together’ pick a book (or book series) that you were pretty sure you were in love with, but then wanted to break up with. 2. For ‘Red’ pick a book with a RED cover. 4. For ‘Love Story’ pick a book with forbidden love. 5. For ‘I Knew You Were Trouble’ pick a book with a bad character you couldn’t help but love. 6. For ‘Innocent’ (written b/c of Kanye West!) pick a book that someone ruined the ending for. 7. For ‘Everything has changed’ pick a character from a book who goes through extensive character development. 8. For ‘You Belong With Me’ pick your most anticipated book release. 10. For ‘Come Back, Be Here’ pick the book you would least like to lend out, for fear of missing it too much. Feel free to leave your link below if you do take part in this tag! September competitions post will be here on the 25th August. *Please note that The Book Life takes no responsibility for any of the competitions posted below. Now, lets get to it. Short stories and poetry up to 2000 words, for children aged 7-12. Prizes: Publication in Writebulb writers group anthology and a copy of the book, plus two runners up will receive copies of the book. Short Stories, up to 2,500 words; portfolio of 3-5 poems. Crime novels and short stories by writers from the north of England. Prizes: £1000 plus publication for winning novel, £100 plus anthology publication for winning short stories. Short stories up to 2,000 words, poetry up to 40 lines. Any theme, form, or style. Prizes: £500 for winners in each category, publication in Creative Writing Annual. Entry Fee: £10 for two pieces of one kind. Stories up to 3,000 words. Articles, up to 1500 words describing a typical day in your writing life. Prizes: £50, £25, £15, publication in Scribble.